In our last class we covered what to look for in a sewing machine. 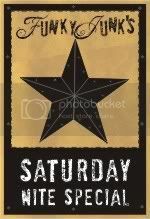 If you missed that class, click on the link to read it. "What do I Really Need in My Workroom?" 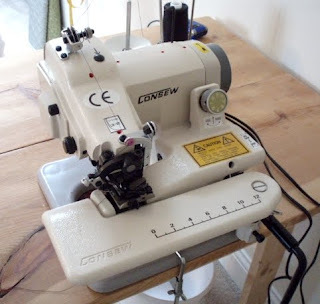 Part 1 B: What kind of machines do I need based on what I what I want to sew? Now that you know what to look for in a sewing machine, you need to know what other machines you might possibly need based on the kind of work you want to do. - What kind of sewing do I want to do? Clothes mending? Custom bedding? Simple hemmed curtains? Custom made drapery? Small craft projects? - Do I want to sew for others? - Do I want to sew for income? 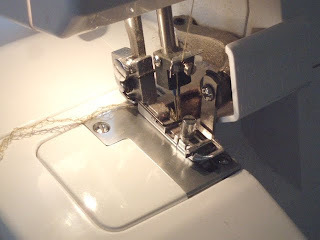 If your desire is to simply make easy things for your own home, then you will be fine with a basic sewing machine. Most sewing machines come with several options for feet that will perform all of the basic functions you will use in your home sewing. 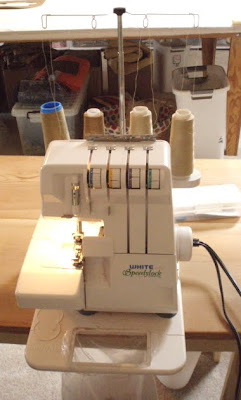 However, if you truly want to learn to sew professionally (which is what I'll be teaching in this series), and perhaps even make things for others, or start a sewing business with your new skills, then there are other machines you will want to add to your collection that will enhance the efficiency of your work. First up is the serger. For beginners, a standard serger will suffice. This is one machine that takes a bit of time to learn. I find that so many people are afraid of the serger simply because it uses multiple spools of thread and it has a blade that cuts your fabric. It looks kind of intimidating at first glance, but I promise you, I'll teach you to remove that fear pretty quick. For those who know what a serger is, but are unaware of it's functions, you'd probably be surprised to know that it does more than just finish off the edges of your fabric. You can make easy ruffles, contstruct a complete garment, and even make all sorts of fun decorative edging. There are so many things you're going to discover in this Sewing Instruction Series. You're sure to be a pro in no time flat. We'll cover this machine in more detail in future posts, but for now, I just wanted to show you what one is. We'll cover all of the functions of the serger, the parts, how they work together, and the maintenance. 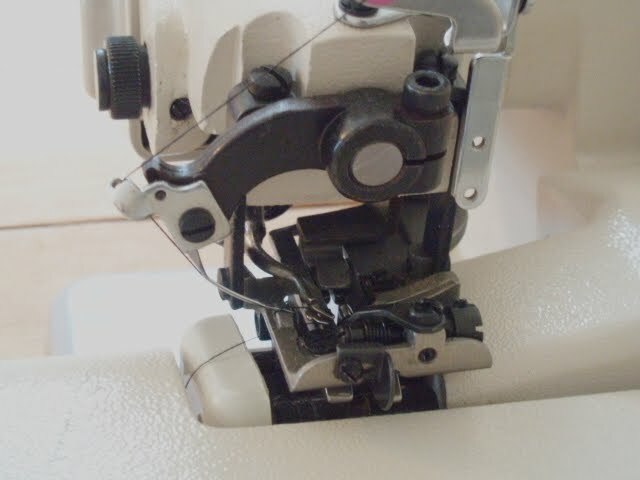 Here is the most basic and useful stitch that is performed on a serger. If you're doing homemade sewing, you can simply use a zigzag stitch on the edge of your fabric. But, if you're planning to do more professional constructing, you'll want to purchase a machine that gives you a more polished finish. The top stitch is a 4 thread overlock. The one on the bottom is a 3 thread overlock. See what I mean? Such a nicer finish! You can expect to invest between $200 - $800 for a starter serger. The next machine you might want to consider is a Tabletop Hemmer. Most sewing machines come standard with a blindstitch foot attachment which is designed to make hidden hem stitches. Again, for the home sewer, this is a good option. If your goal is to do professional garment tailoring for others, or drapery making as a business, you will thank your lucky stars you invested in this particular machine. Regardless of your goals with your sewing, if you will be doing a lot of hemming, please think about purchasing one. Unlike the serger, the Tabletop Hemmer has only one function, and this is it. We will also go into much more depth about this machine in future posts. The final class of this installment, "What do I Really Need in my Workroom? ", Part 1C, is the next class. 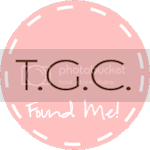 In that segment, I will show you pictures of all of the supplies you will need for your sewing projects. I've been exploring just upgrading from my current machine - Kenmore. While I don't expect to be sewing for others - at least I can't fathom that at this point - I would like to sew better for myself and family. Would you suggest still getting a serger? My friends who sew love theirs. However they are real seamstresses - they make almost all of their own clothes. It seems that if my machine can do the zig zag that should be sufficient. Your thoughts? I value them. Thanks! Well, it depends on what you'll be sewing. If you're going to be making clothes, you'll definitely want to get a serger. While the zigzag can semi stabilize your edges, you still get a lot of fraying. 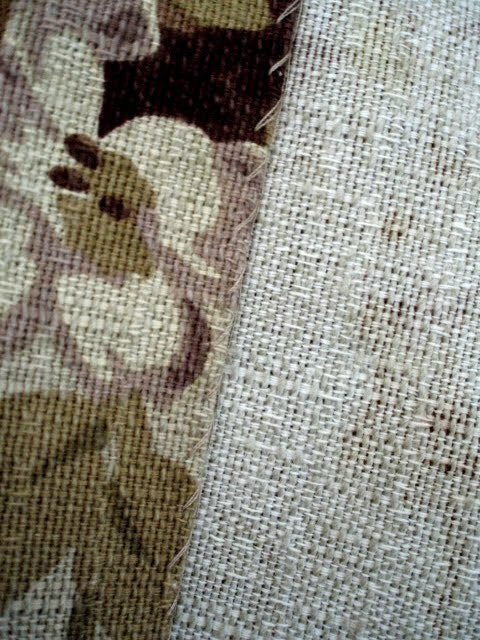 A serger actually wraps the edge of the fabric in thread, so there will be no fraying. As far as upgrading, if you feel you should, then I say do it. If possible, go to a dealer for the upgrade. Dealers have several beginner machines at reasonable prices, and it's worth it to know you've got a support team in place once you leave the store with a machine. Polly, I am so excited about your series. I have discovered I'm never too old to learn. I have sewn clothing and home decor both professionally and for myself and family for over 40 years. I have never heard of a Tabletop hemmer. I going to look into that. My machine does a beautiful blind hemstitch with a special foot. Is the hemmer faster, easier, or what? I think I need one. Thanks for doing this series. Beverly, the hemmer is much faster than a blindstitch foot. With the blindstitch foot, you still have the suedo zigzag along the back edge of the fabric, and once you've hemmed your product, you still have to turn it over and iron that fold down flat. Also, as I'm sure you know, if you don't get your stitch width set properly with a blindstitch foot, then you'll have that little pinched look on the front side of the fabric. With the hemmer, you just zip it through, and you're done. No ironing necessary unless it's silk. Several people shy away from a hemmer because it doesn't go thru the thickness of the turned fold at the bottom 3" of a drape. You have to leave a stretch of thread and finish it out by hand. In my opinion, still a much nicer looking option to the blindstitch. I'm going to try to do a video showing the difference. I'll have to figure that one out. Thanks, Polly. I have already been searching online about them. I do a lot of hemming and can see the time that would save. Love learning new things, especially time savers. I have yet to bite the bullet and buy a serger...so I am glad you are covering this. Thanks for the detailed post Polly. I only sew for me and have been wondering if I could make place mats. I see now I cant becuase I am unable to do the edges correctly without a serger. This was very interesting and informative..
Hi there Sonny. I'm a little confused as to the type of placemat you're wanting to make. You can definitely make them without a serger by flipping the edges over and topstitching them down. Often, you'll see napkins with a rolled edge -is that what you're talking about? If so, yes, that edge is done on a serger by adjusting your settings. If you have machine that you can buy feet for, try purchasing a rolled hem foot. 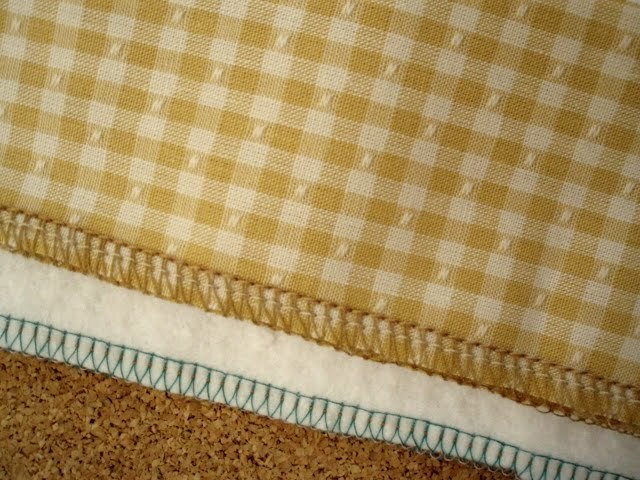 This will give you a tiny folded edge that you fold and stitch in one step. Thanks Polly! I always look forward to your lessons! Thank you so much for your sweet words of encouragement!